Printed by USPCC Bicycle on linen, air cushion stock! Limited run, one time print only! The first in a series of three designs. This deck was created to encapsulate the characteristics behind the International Typographic Style, or 'Swiss Style' graphic design. Focusing on how each card can be displayed through text, but also making sure to have the fundamental values required for serious card users, the design has been through a long process of testing and tweaking to find the right combination of style and substance. 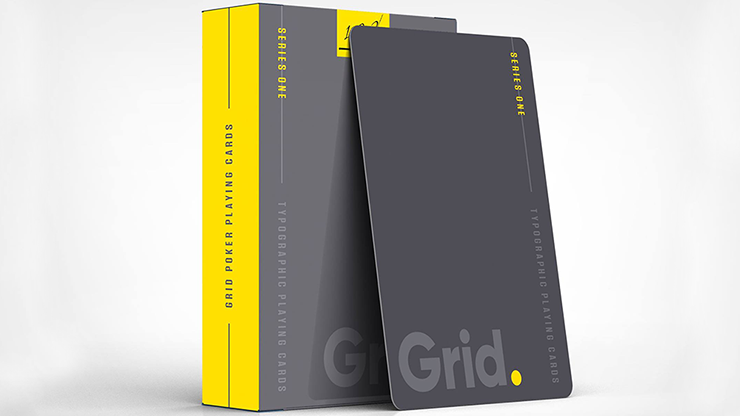 The cards are designed to be read from multiple angles, in multiple ways, whichever is easier the user. 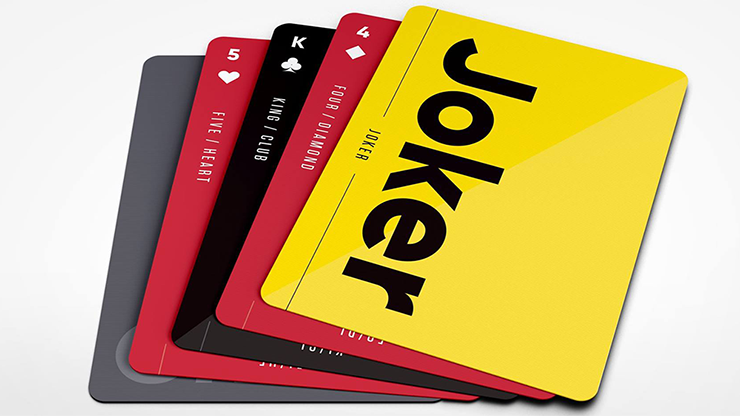 Combining two typefaces and making the focal elements of the design ensures the cards are easy to read, but give a unique twist to the way we traditionally see playing cards set out. "I wanted the design to be minimal and restrictive, so complex patterns have not been included in this series, but a bold and simple approach have instead been introduced. 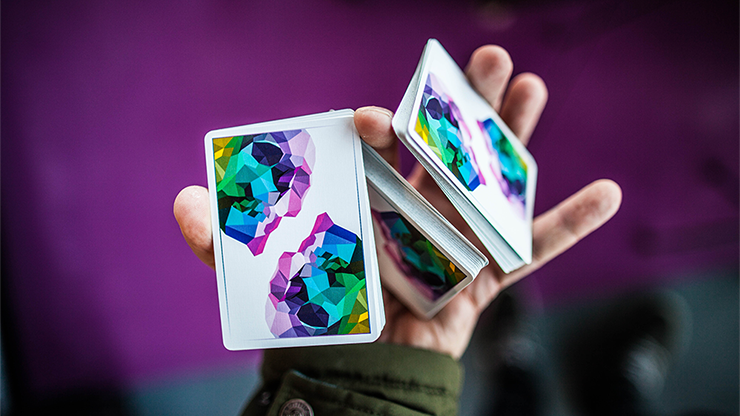 "I have created a test deck, printed, and cut by hand to ensure meticulous testing of how the card plays, holds, the way your eyes are drawn to each element and the hierarchy of each. 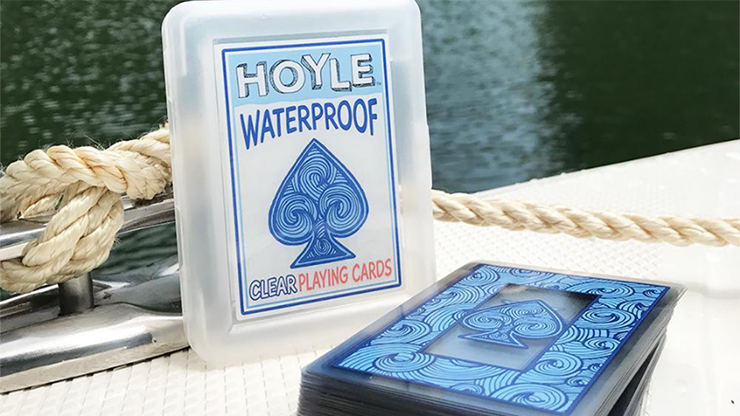 "As not only a designer, but also a playing card fan, I wanted to create a series of playing card decks that stands out from the others in my collection, and share with you all a new experience of card playing." The power in the detail. The cards have each their own details that change, it is with these that created multiple ways to read the card and also for style variation. It also allows the cards to be held in different ways, should the user want to only see the top of the card, left, bottom, right or fan, variety is key. 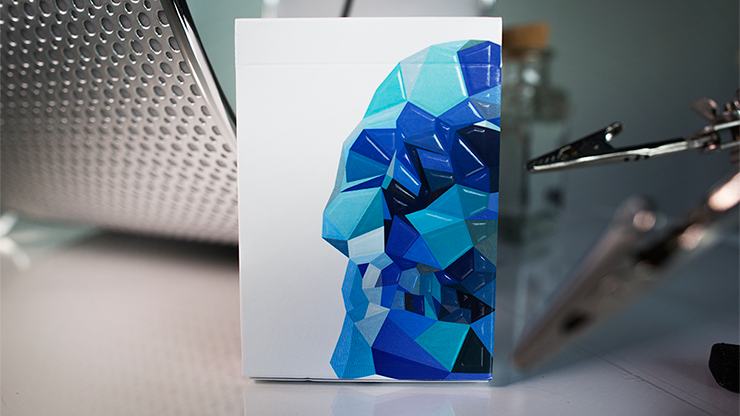 The back of the card keeps to the same style as the tuck box, the text changing angle as well as color to keep diversity from the rest of the deck. 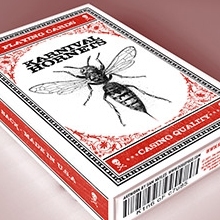 The cards are poker size with custom tuck box and seal, cello wrapped.